Promotes efficient turnover of meeting rooms, cuts wasted staff time. Shows up-to-the-minute room status and confirmation of right time, right place for attendees. Provides ad-hoc booking of available rooms by proximity, capacity or capability. Integrates seamlessly with Outlook/Exchange in real time. Choose from 8", 10" and 15" displays with or without frames. Select from a variety of frame materials, sustainable woods like bamboo, maple, cherry, walnut or birch plywood. We can mill any material, including state-of-the-art composites. Have a specific color in mind? PI can deliver it matte to gloss. Go with our standard UI templates or easily customize colors, add logos and graphic elements to complete the perfect look. Low-profile surface mount kits come in upright or angled for a sleek, economical look that meets ADA requirements. Choose Power over Ethernet (POE) or AC adapter. 10" display with customizable LED indicators to clearly communicate room status from a distance. PI's system includes daily, weekly and monthly calendar templates that are easily customized to fit your installation. Wayfinding is used in Conference Center lobbies and concourses, meeting room clusters and training centers. Meeting summary screens work well in lobbies and concourses. Calendars keep staff and guests up to date on coming events. Managing your facility is a snap with PI's powerful suite of web-based tools. Dashboard provides instant, at-a-glance, real-time views of all devices including status, network address, current device show, media playback and even display power. Something not right? 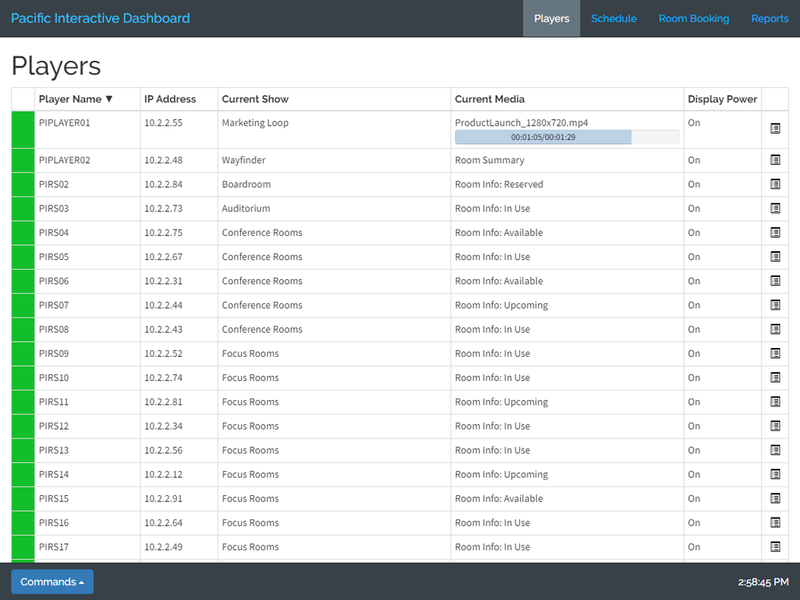 Dashboard includes the tools you need to remotely manage any playback device including Room Info Displays, Media Players and Wayfinding displays. Need to add a room reservation on the fly? No problem, Dashboard gives you the ability to update settings from anywhere using just a browser. You can even add a customer image to display along with other meeting information like Meeting Name and a handy Notes field. Need access to Dashboard on your mobile device? Easy! The same interface used on the desktop scales to give you all Dashboard's power and capabilities on your smartphone or tablet. Need to add room reservations or change locations on the fly? Need to change the look of every display right now? Absolutely! Mobile Dashboard provides access to Room Info capabilities giving you total control from virtually anywhere. PI's Dashboard lets you see and control exactly what's on a display right now... even from your mobile device. Let our powerful digital signage features help direct, inspire and inform your audience. Make your point powerfully and directly to the right people at the right place and at the right time. Combine Room Scheduling information with sponsorship messages. Let people know when it's their turn. Entice folks with beautiful, hi-res images. 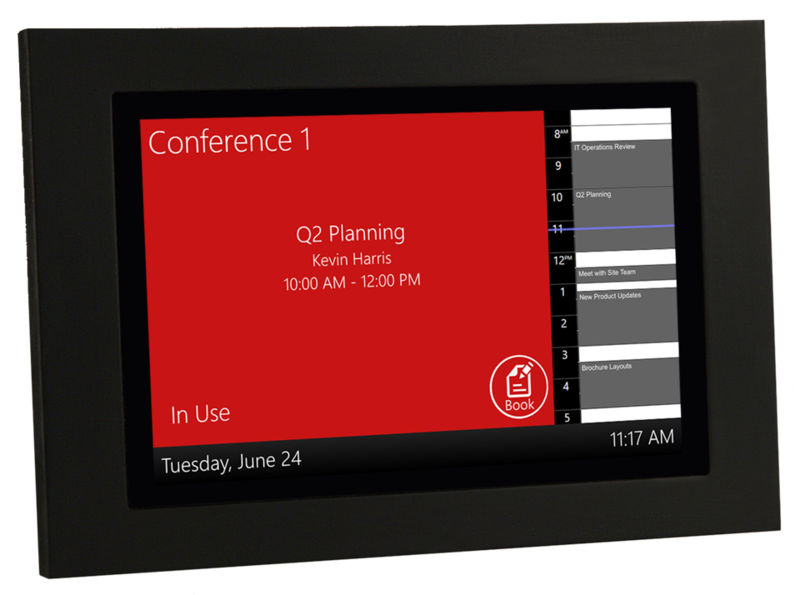 Hybrid displays can incorporate Room Scheduling, Wayfinding, Promotion and branding all on the same display. And making changes is fast and easy. Poker Room Wait List at Casino Rama lets customers know when a seat is available. Menu graphics, pictures and text are easily updated. PI's Digital Signage platform comes standard with a powerful toolset built to ensure the lowest possible TCO. 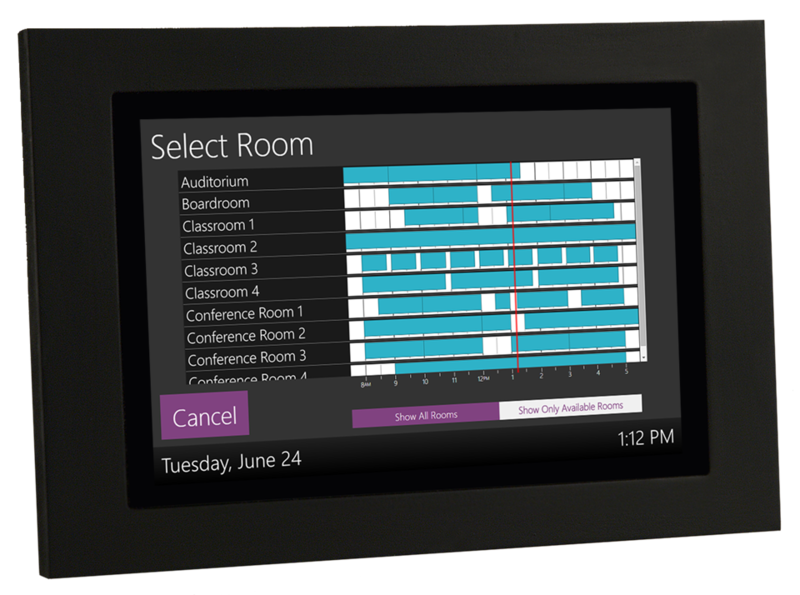 PI Signage Designer provides a powerful layout tool for Signage and Room Scheduling. PI Reporting offers deep insight into usage and utilization of the system and assets. PI Data Integration tools work with additional data sources to provide deeper insight into real-world utilization. PI Dashboard monitors and displays realtime system status for all system functions and assets. Create custom templates with PI Signage Designer, including unlimited zones, tickers, websites, graphics, text, video, animations. Pacific Interactive Report Generator provides insight on system performance, usage and utilization, helping to identify and address operational inefficiencies. Powerful data integration API allows deep integration and custom data presentation to meet exacting requirements. Sometimes you need a little more power and control. Sometimes you need to customize things a little. Sometimes you just need to do it your own way. A Wayfinding application for University of Windsor helps visitors find the right room using a 55" touchscreen display. This Room-booking application also lives on a 55" touchscreen display and ties Room Scheduling to campus email and provides instant visual status. When you need to make something special and new, you need exactly the right tools to make your project come together. We've been fortunate to be chosen to deliver perfect-fit installations for some exacting customers along the way. To help us do that, we created a scalable, enterprise-class platform that gives us the right mix of proven technologies to create solutions that just fit.